If you remember, last week we talked about the different ways that massage can improve and promote sleep. Thank goodness it can! Because while we delved a little bit into what effect sleep deprivation can have on the body and mind, we barely scratched the surface. 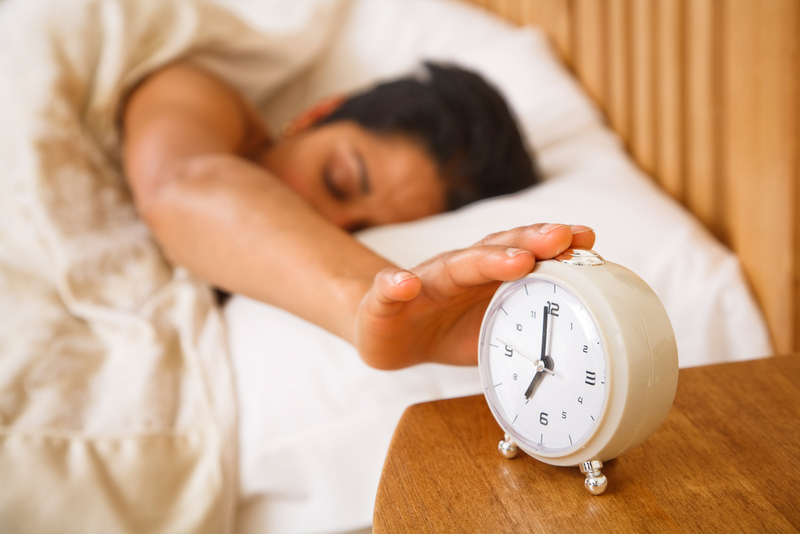 There is much more to be said about how sleep, or lack thereof, negatively affects the body. And considering that the average sleep duration for adults has gone down 1.5-2 hours in the last 50 years, it might be time for a sleep overhaul. It’s easy to take sleep for granted, and even be okay with sacrificing it. Heck, when you were younger it was considered an admirable goal to pull an all-nighter. How many times did you beg your parents for a later bedtime? Well, they say that with age comes wisdom, and we wanted to pass along the top 5 reasons why you NEED to get the best possible sleep you can, starting tonight. Your heart needs it. European Heart Journal published a study in 2011 that followed 475,000 “short sleepers” (or those who averaged 6 hours of sleep or less) for several years. These participants had a 48% increased chance of developing or dying from coronary heart disease, and a 15% risk of developing or dying from a stroke. Your brain needs it. While you sleep, your brain is hard at work preparing new pathways to help you remember and learn. Lack of sleep has been shown in studies to cause similar slowed reaction time to those who are intoxicated, as well as cause more work-related errors. Getting an appropriate amount of sleep can also help you be more proficient at learning a new task, make decisions, and be creative. Your healthy lifestyle needs it. Did you know that when deprived of sleep, your body produces the hormone ghrelin which can send hunger signals to your brain, making you think you need food when you might not? It also suppresses the hormone leptin which lets your brain know you’re full. Because of this, those who experience lack of sleep on a regular basis have a higher risk for obesity. Lack of sleep can affect friendships as well, in that the pal without good sleep is more apt to be irritable, oversensitive, and emotional. Plus, as demonstrated by a UC Berkley study, lack of sleep can actually diminish your ability to accurately decipher smiles from scowls. The sleep-deprived participants were more likely to read friendly and neutral facial expressions as threatening or unfriendly. Your body needs it. From the time you were a baby, your body has depended on sleep to replenish cells, heal stressed muscles, maintain a healthy immune system, synthesize proteins, and balance hormones. Insufficient sleep can bring healthy body functioning to a screeching halt; or at the very least compromise it. “A good laugh and a long sleep are the two best cures for anything.” It appears that there is some truth to this Irish proverb. Maintaining a healthy habit of regular sleep can pay off in impressive dividends in nearly all aspects of your life. Making regular appointments with your massage therapist can be an effective, all-natural way to improve sleep. Between increasing relaxation, promoting the release and production of sleep-inducing hormones, helping your body to feel better, and countless more benefits, massage may be what you need to live a more rested and healthy lifestyle.